Technology continues to disrupt anything in its path that refuses to change with it. We know some sectors such as the building industry are notoriously slow when it comes to adopting and using new technological solutions. With the recent arrival of virtual reality already making waves, we see Building Information Modelling (BIM) trying to bridge a platform merging the virtual world with our physical and managing urban flow. Ultimately, digital designers will be able to quickly discover what's working or what isn't in real time. Latest technologies, including virtual reality, are revolutionising the way buildings are conceived, constructed and maintained. The sector is changing fast. Advancements in virtual reality, digital fabrication and the internet of things will continue to be major disruptors. Technology is driving behavioural change across populations. This has profound implications for the future design of buildings and cities, and the companies that build them. The effects are being felt as much on-site as in the office. 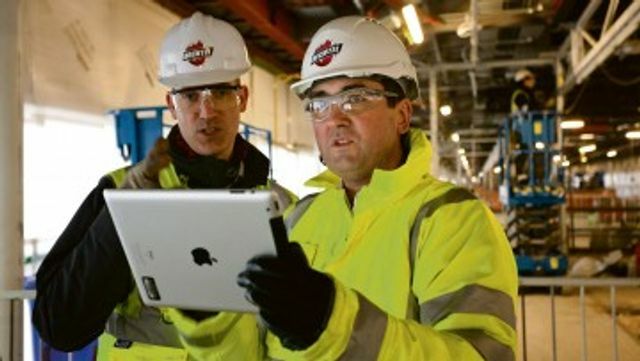 Over the past six years, Bechtel has been collaborating with Silicon Valley developers to create more than 50 tablet-based apps. One example is an app that interacts with sensors embedded in wet concrete, providing accurate readings of the concrete cure rate.